This 8 Seater Meeting Room in Rajarhat Kolkata one can book it for Daily and Hourly Duration Basis. Moreover this business center have their presence in all of the major cities across india and one can avail the benefits by taking the small packages of meeting rooms or access to the other business center as per the need. Meeting Room Rajarhat Kolkata has 8 seater capacity. It is located at a prime location having the prime connectivity across all other areas with the ample of public transport available in the nearby vicinity. 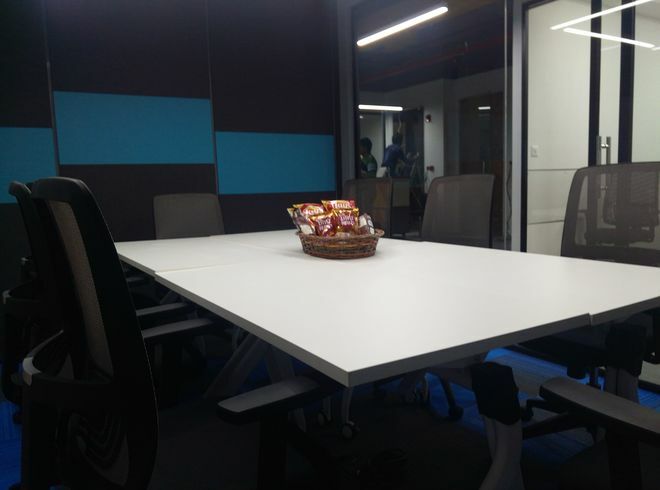 This Coworking space is having a wide availability of office space across all the India. This Center provides Cabins, workstations, meeting room, flexible desks. These workstations are equipped to plug-n- play and premium cabins offer pedestal storage, whiteboards and pin-up boards for every user. The centre has high technology enabled physical infrastructure including hi-speed secure internet, NFC, CCTV, VC and projection facilities. This Meeting room has a decent infrastructure. It Provides you a modern chair. This venue has good connectivity to Wi-Fi. This meeting room also has decent flooring. The lighting system is amazing. It provides you with Whiteboard. This venue is noise free which is ideal for a brainstorming session. This meeting room is ideal for business review meetings. Even you can take interviews at this venue. 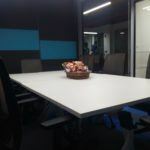 You can get this meeting room also on Saturdays. This meeting room is ideal to take small training sessions or seminars. 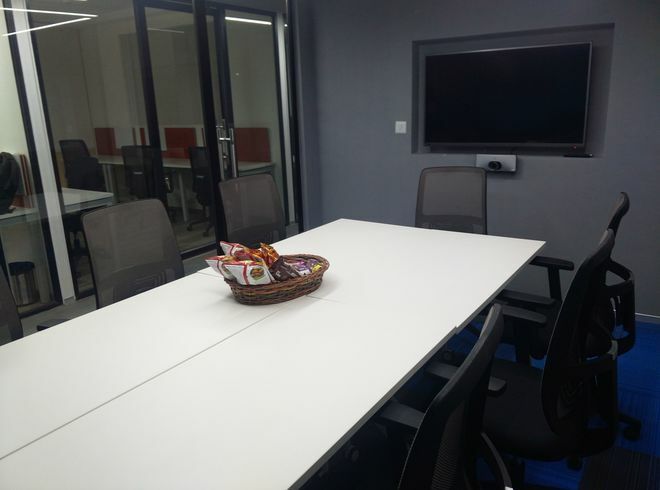 You can also get this meeting room on an hourly basis as per your business needs and project requirements. This venue also has a parking facility for 2 wheeler and 4 wheeler. This space has multiple usages. It has a good connectivity of public transport.